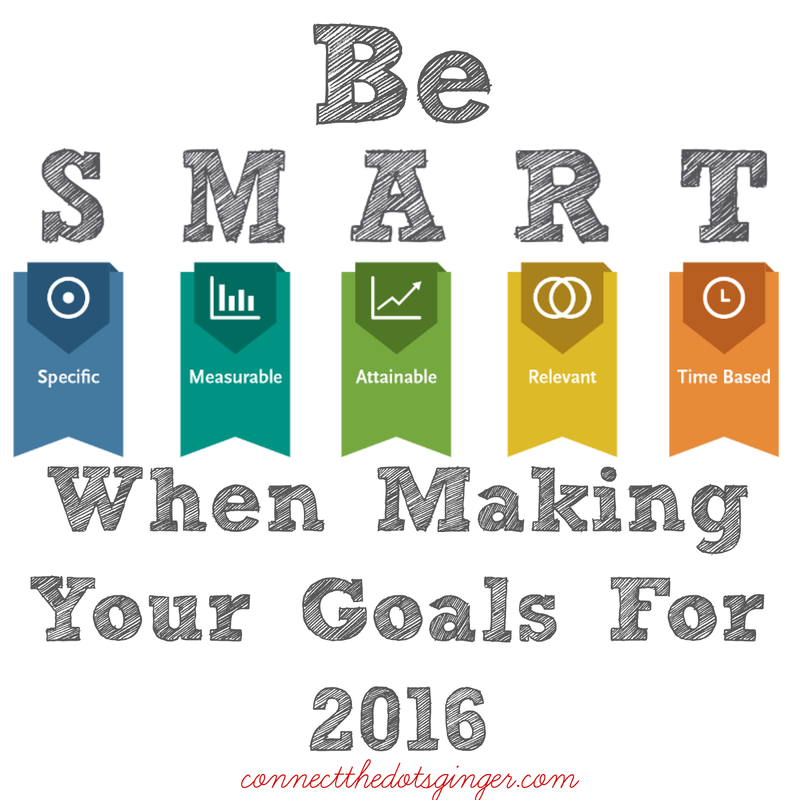 Be SMART when you are making your goals for the new year or really any time. Take the time to really sit down using this SMART formula to help you really focus on what you want to accomplish for this year. S- Specific- Be super specific when making your goals. Write down what you really want to accomplish, not just the overall goal but if you want to lose 20 pounds then write it down, instead of just "lose weight". R- Relevant- Is is worthwhile? Does it fit in with your overall long term plans? (Double my daily page views on my blog by June 2016.) Find your why on why you want to accomplish it and make it worthwhile. This will help you stick with it more when you are having a hard time! T- Timely- Your goal or objective should have a time limit! That is going to drive you everyday to work harder, and smarter on your goal. 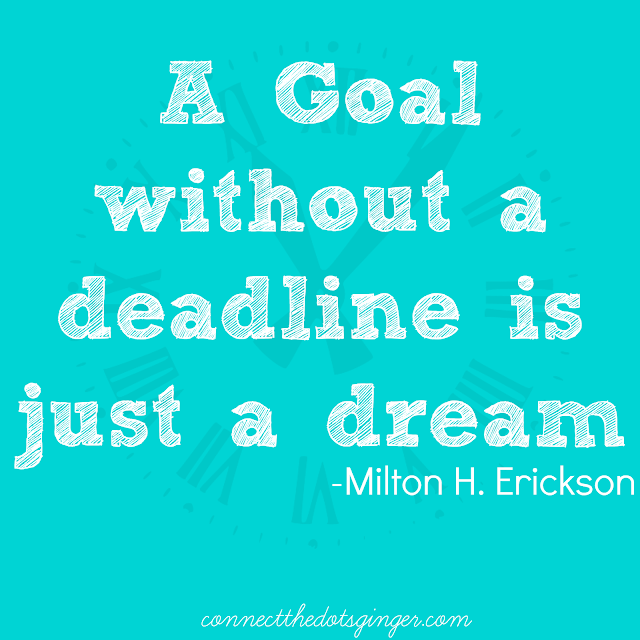 A goal without a deadline is just a dream! And lastly, it doesn't go with SMART but WRITE DOWN YOUR GOAL! WRITE IT DOWN! If you don't then it will not happen. Write it down, place it in a place you see everyday. 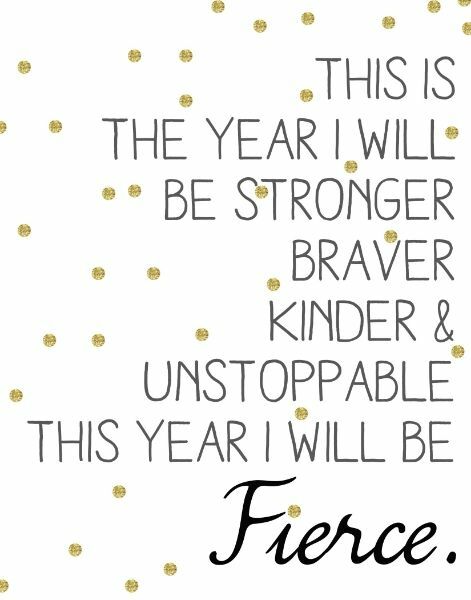 And strive each day to move yourself in the direction that will help to obtain that goal! Merry Christmas From The Allen's! Holiday Season Have You Feeling Overwhelmed?